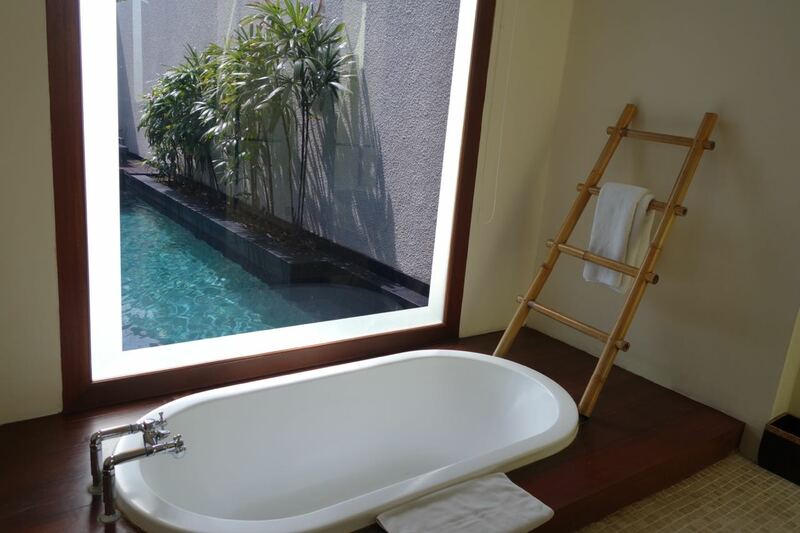 Nestled in the heart of Bali’s fashionable and chic district of Seminyak, the Anantara Vacation Club Bali Seminyak is a place that makes it easy for you to feel at home. 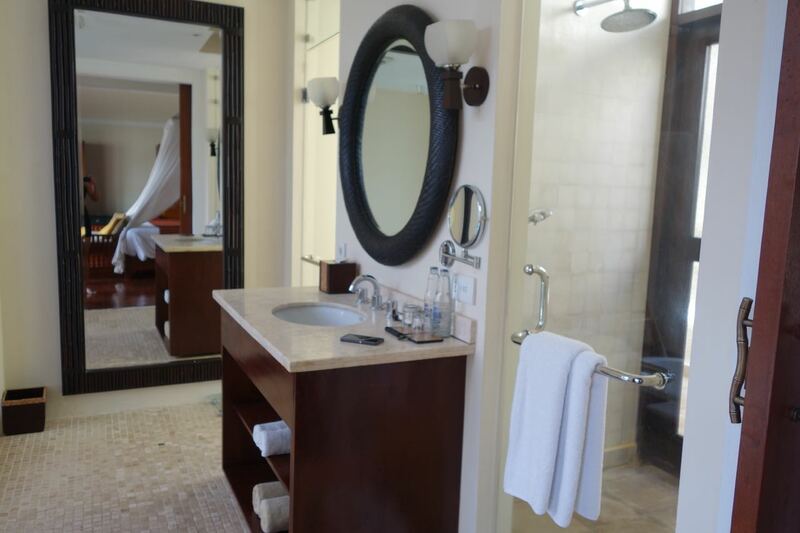 Authentic and customised experiences are the top key priorities in this vacation property and I was very happy to experience this during my stay last January. 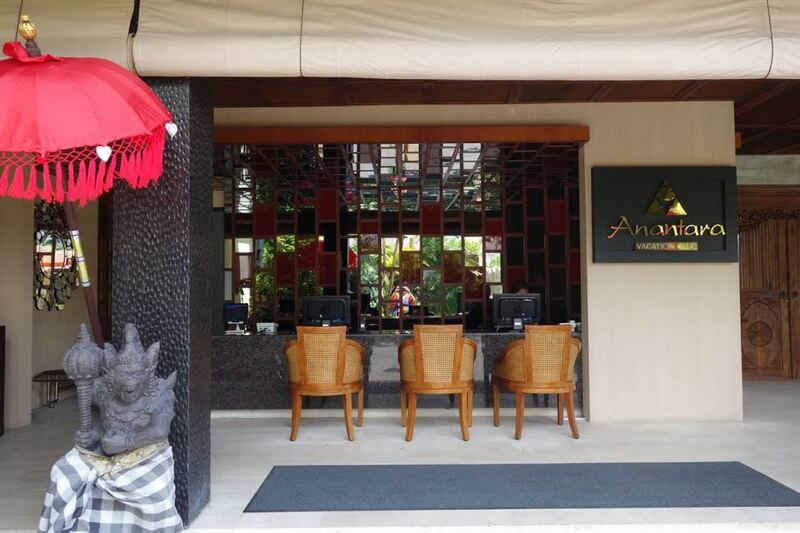 Despite being located in busy Seminyak, Anantara Vacation Club Bali is still located in a quiet and private area, away from the hustle and bustle of shops and cafes that Seminyak is known for. 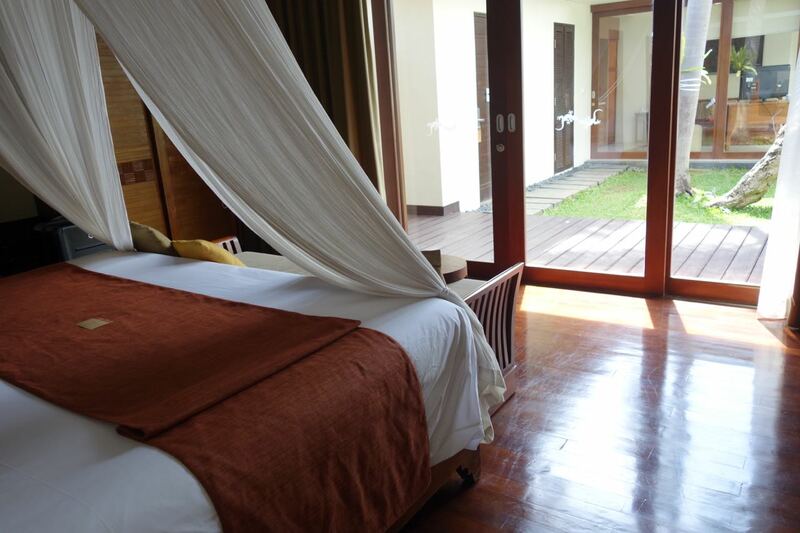 Anantara Vacation Club is a timeshare concept property which is extremely family friendly. I won’t go into further details but the gist of a timeshare holiday property is “securing your holidays in the future, with today’s market price”. The day before we are to check-in at Anantara Vacation Club Bali, I received a phone call from Tiffany, one of their front desk staff. She wanted to confirm our pick up location and approximately what time we will be arriving. After I gave her the details, she advised me that we may have to wait for an hour as their usual check-in is at 2PM. I said that this was not a problem at all and that we were happy to wait. On the day of our check-in though, I was pleasantly surprised to find out that they had worked it all out and we were actually given the room an hour earlier. Big kudos for making the extra effort despite knowing that we were really more than happy to wait! 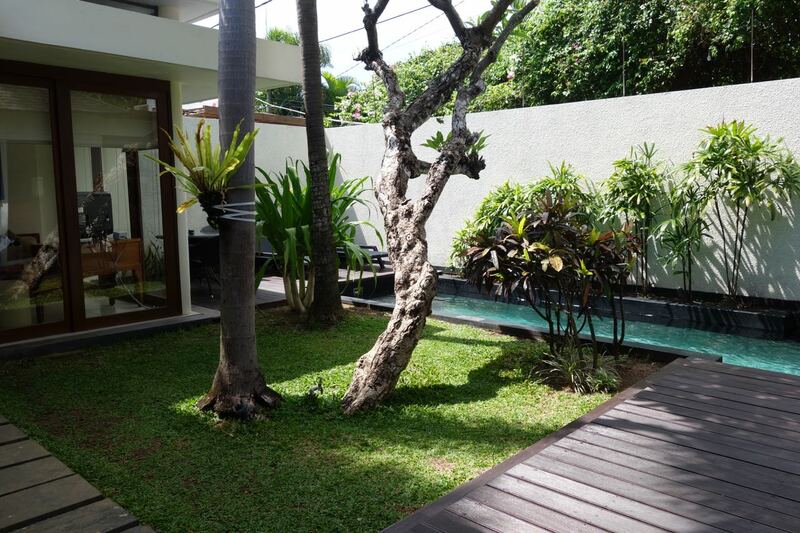 All accommodation at the Anantara Vacation Club Seminyak Bali are villa types so the layout of the entire place is like a secluded neighbourhood, with wide spaces and tall walls in between villas. 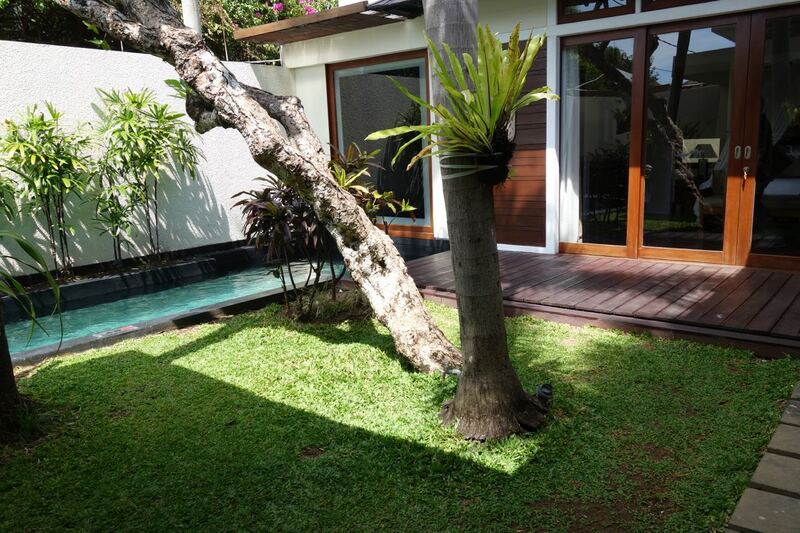 There’s a narrow (but long) pool in the villa, and there are 2 main rooms that are on opposite sides. The living room area (with kitchen, TV, lounge and free snacks) are separate from the main bedroom. This is the living room, fully air conditioned and I love the free snacks (along with a cooler of water and soft drinks) and fruit. I hardly used this room but I can imagine that this will be a hit with families. 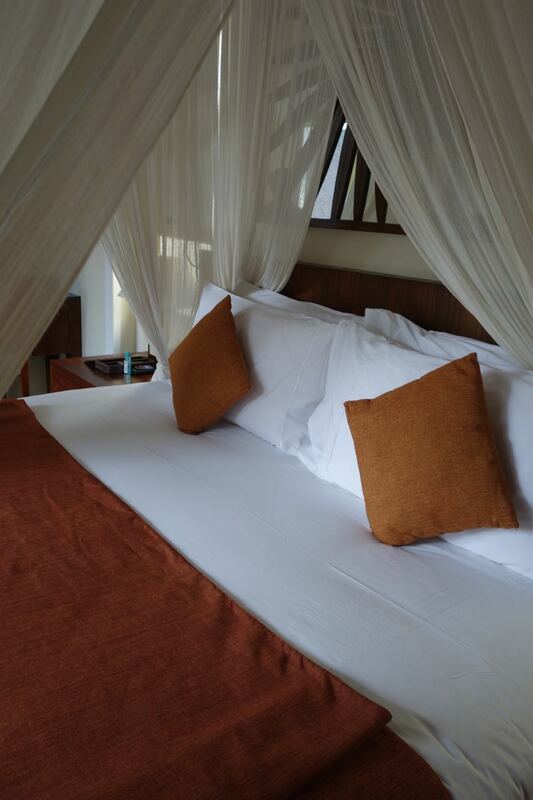 The canopied bed was indeed a good idea as the place does have a lot of mosquitoes, which is expected given the location with a lot of plants not just outside the room but surrounding the entire resort itself. There is a can of insect repellant provided inside the wardrobes and we just remained vigilant in ensuring that we kept the sliding doors shut at all times. I was told that the glass partition was a new addition. It used to be a window that you can actually open into the pool, but to prevent more mosquitoes from entering the room they decided to put a tinted glass partition, which I thought was really brilliant. Of course, it provided a lot of entertainment too. There is only 1 restaurant at the Anantara Vacation Club Bali – Called the Club Deli, this is the venue for all meals and is versatile to be both a casual and formal dining venue. On one of the nights we were there, there was a Jimbaran Style Barbecue dinner. It rained cats and dogs that evening, so the venue was covered but this did not hinder the great fresh seafood barbecue dinner at all. Breakfasts are a casual and leisurely affair. There is no buffet, but rather an ala carte style breakfast. You can tailor your breakfast. 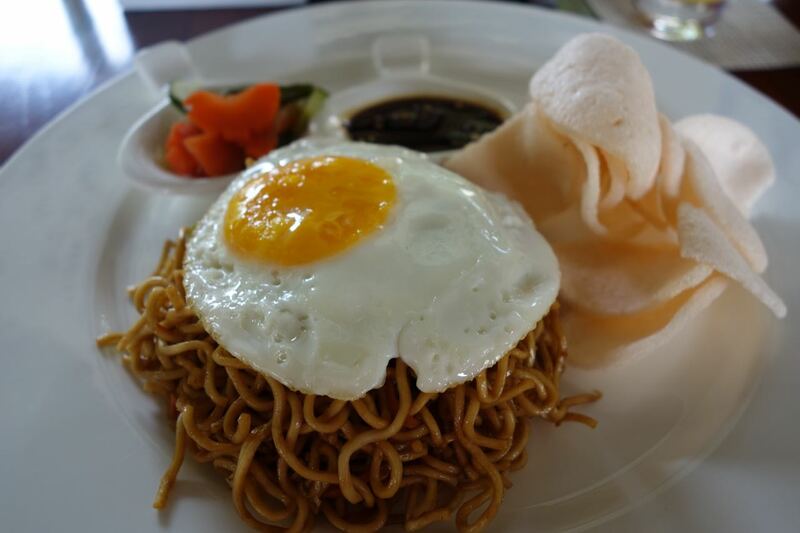 For instance, Zombie loves the traditional Mee Goreng (Fried Noodles) with egg on top. I prefer a Nasi Goreng (Fried Rice) with scrambled eggs. And they catered to this request without batting an eyelid. Our dinner the second night was pretty special. As I mentioned, Anantara Vacation Club is very big on experiences. 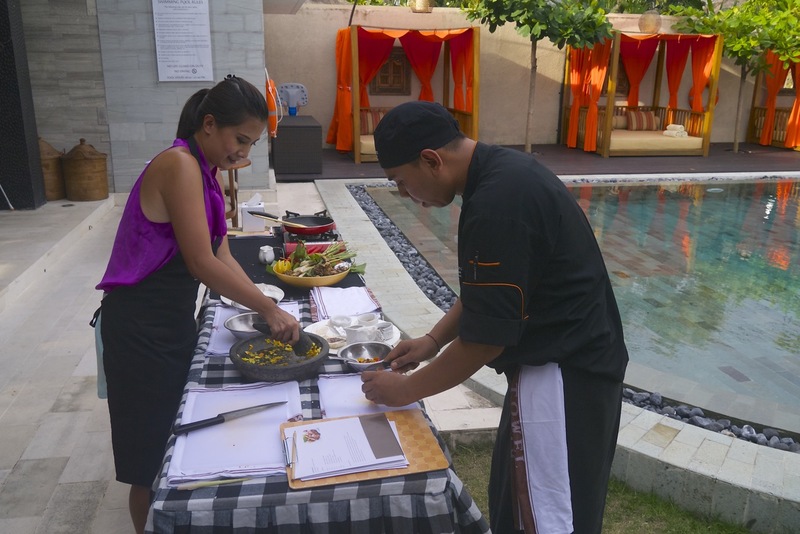 One of the experiences they offer is a full-course Balinese cooking class. This was definitely a very rewarding experience, and I wrote an entire post (including video and recipes!) of it HERE. Another local experience we were fortunate to have gone on is a Temple Visit with Anantara Vacation Club’s Recreational Manager Pak Barra. 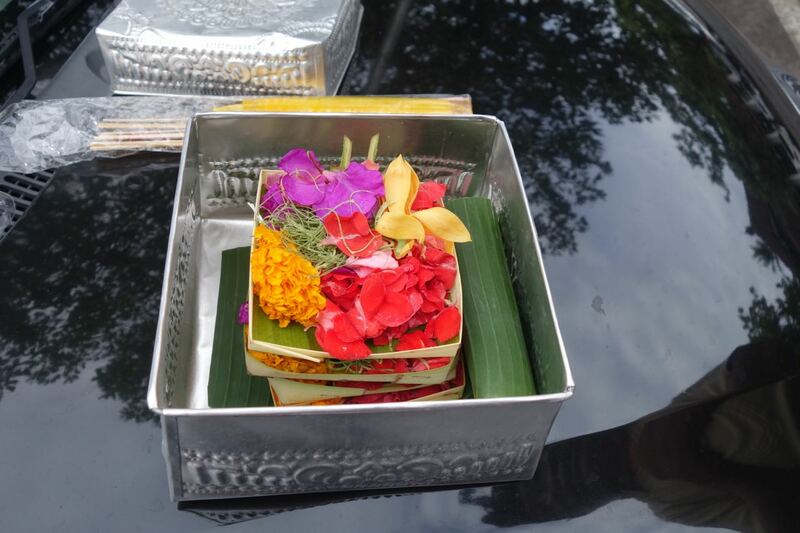 We visited the nearby Petetinget Temple in Seminyak and Mr Pak Barra explained to us the Balinese box offering (it was prepared the night before), what each offering represented and what they usually pray for. I was touched to know that most of the time, they give thanks in prayer. An attitude of gratitude goes a long way, whatever religious beliefs you follow! It was definitely a great experience to have visited this temple very solemnly. 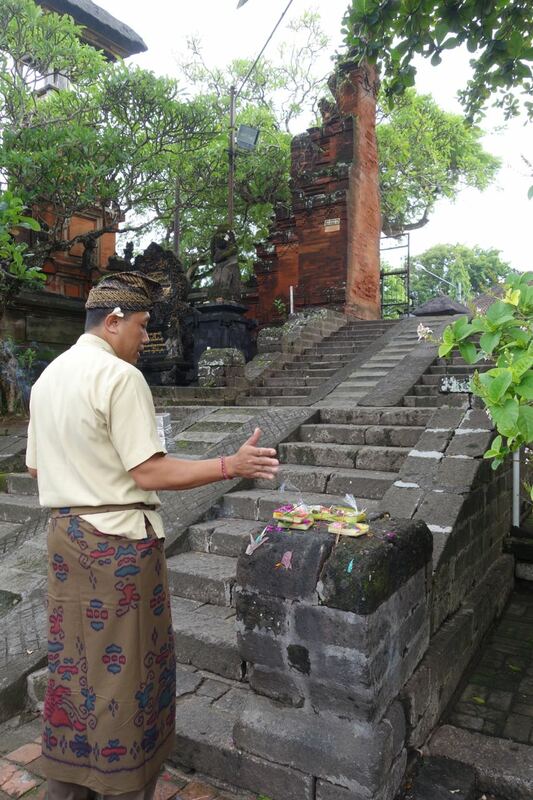 No tourist crowds, and we asked a lot about Hindu religion in Balinese culture. I definitely recommend getting this tour and experience when in Bali, or staying at the Anantara Vacation Club Bali. Here’s a video tour of Anantara Vacation Club Bali where you can see the entire place and also get to see the room layout, and the public pool. 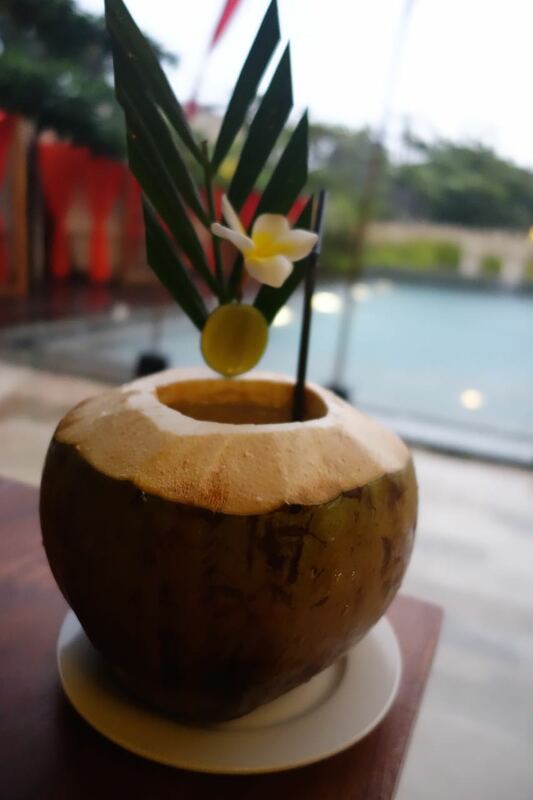 I would recommend Anantara Vacation Club Bali to families, and a stay here is a definite must if you need some ‘down time’ from the hustle and bustle of Bali. 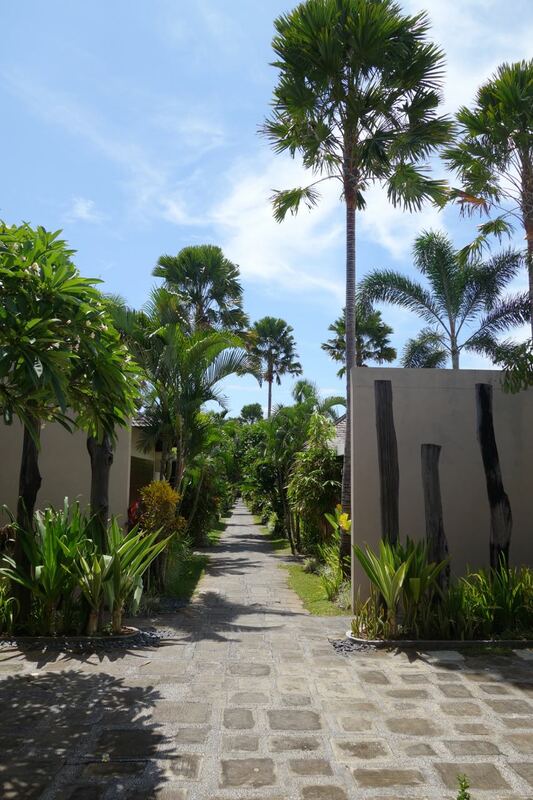 I found our stay here to be really comforting, as we were still in the middle of Bali but definitely felt like we were further away as it was quiet, and privacy was really placed at a premium in the resort. Management staff are also visible throughout our stay so even if you do not get the ‘full resort’ amenities , I still felt that guests are taken care of in a hands on manner. Staff were all courteous and unobtrusive, and we also rarely ran into fellow guests as you can pretty much do everything inside the villa. Are you a member of any holiday Time-Share Concept properties? How do you find it? 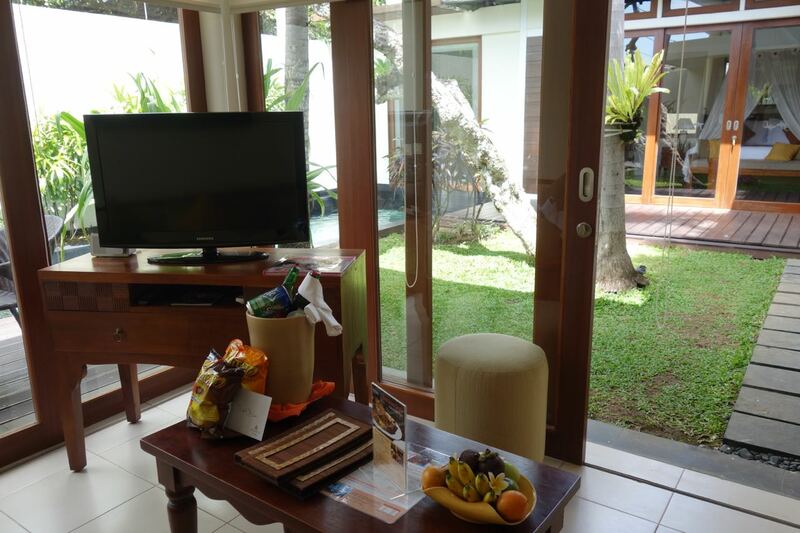 We were hosted in a One-Bedroom Pool Villa by Anantara Vacation Club Seminyak Bali during our stay but all opinions and thoughts remain ours. Aw thanks Lorraine! It’s a one piece from Asos 🙂 Yes its probably one of those that can be a top too! Looks lovely! I haven’t been to Bali in ages, but this makes me want to go back! Thanks Julie! 🙂 I was only there not too long ago and I’m missing it a little now too! This looks amazing Jean! 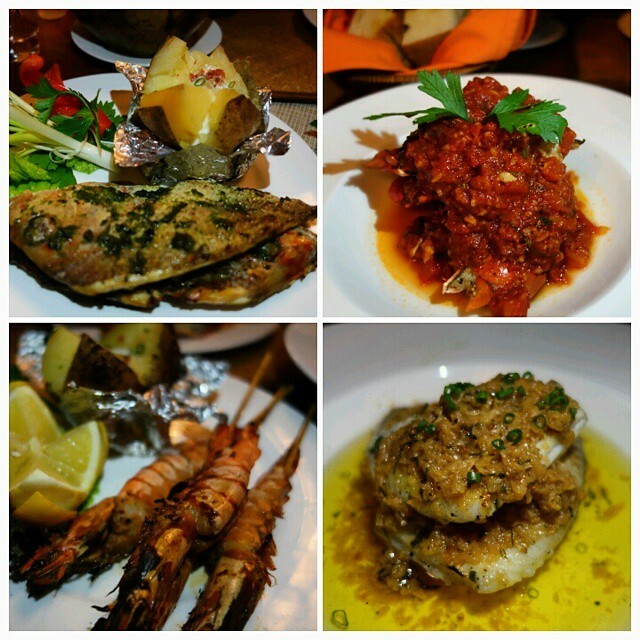 The glass partition is such a good idea and the food here looks amazing! Thanks Shikha! I agree the glass partition was a good choice , as opposed to the previous windows. I can imagine the mozzies that could enter the room!